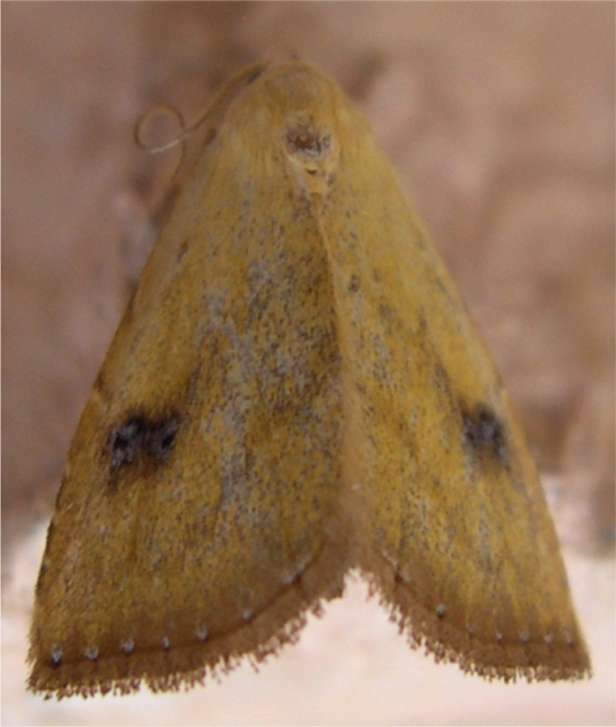 As we've identified moths over the years and as others have corrected our identifications we've come across many cases where a simple visual identification is barely sufficient. On this page are a few examples that might help others make the right ID. 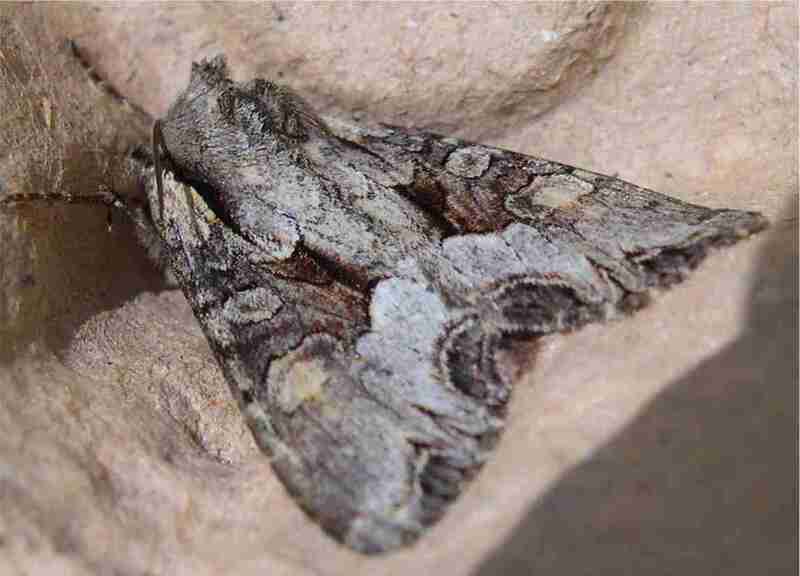 When you click the moth names here you will be taken to the browse page for that moth so that you can look at the other photos we have of it and can check the time of year when that moth flies. 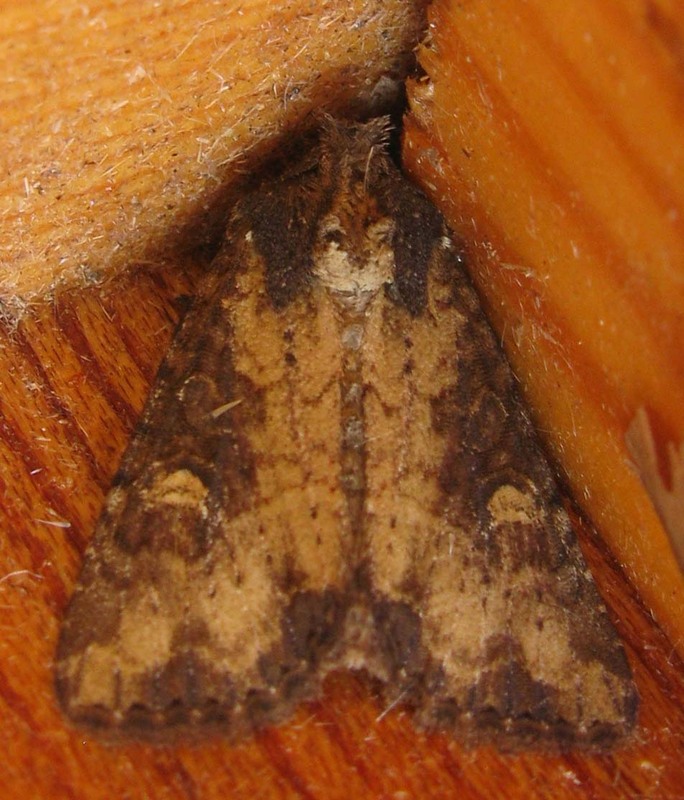 Suffolk Moths is another really useful resource where confusion species are concerned as it lists "confusion species" for every moth on its database. 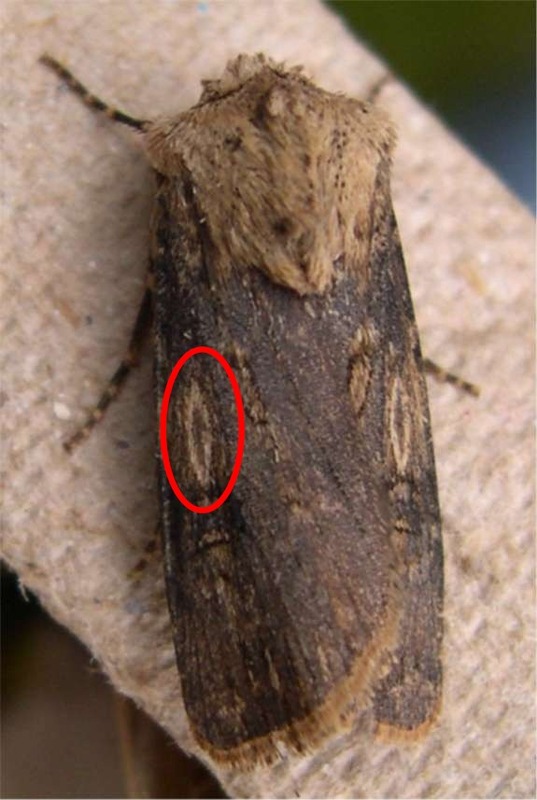 We thought we'd caught Sword Grass (on UK Moths here) whereas it seems we've actually been catching The Flame (left) all this time. Thanks to Joan Oakley for spotting our mistake. 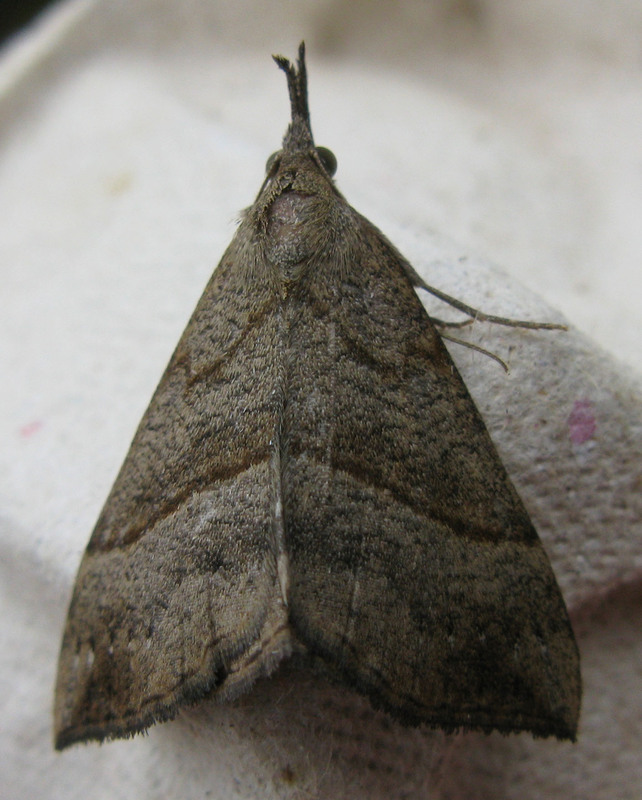 These shouldn't be confused with the Shuttle-shaped Dart (middle) or Turnip Moth (right). 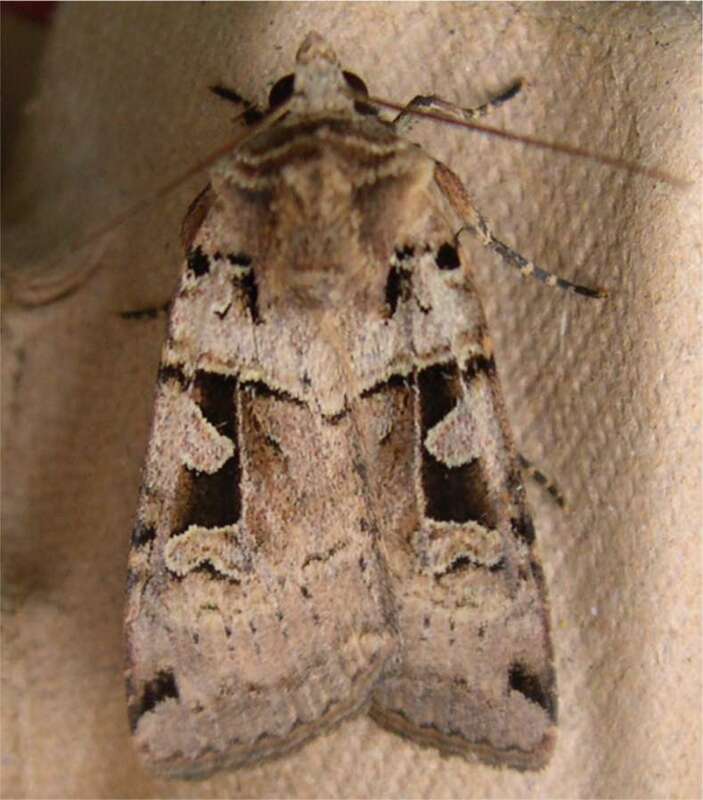 Note the shuttle on the Shuttle-shaped Dart, of which the picture below is the female form, the male being light-grey. 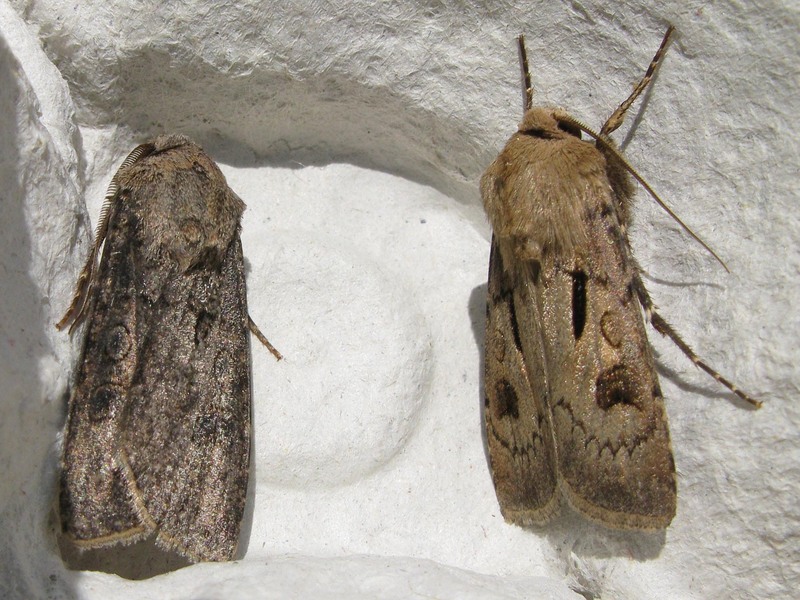 On the left is a Clouded Drab, on the right a Common Quaker. These can appear awfully similar when worn. Thanks again to Bunnrolls for putting us right. Note that we've been particularly bad at identifying Common Quakers in the past, mostly confusing them with Uncertains or Vine's Rustics, so don't rely too much on the other pictures of Common Quakers on their browser page. There are loads of pugs around, so this is just a small selection: Mottled (top) and Double-striped (in the middle). 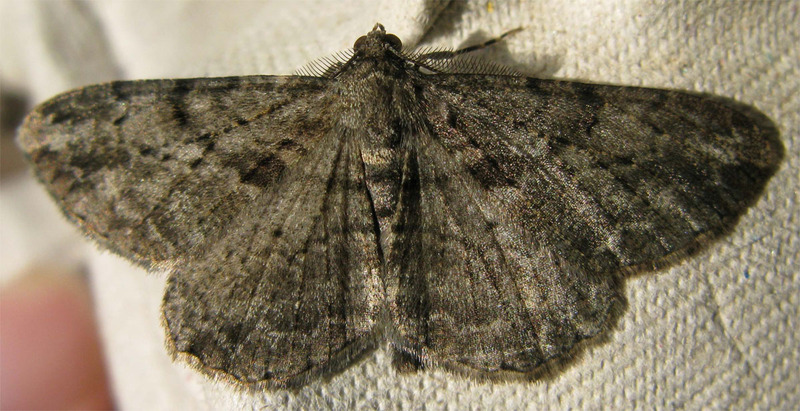 We thought the bottom one was Brindled but a dialogue with John Connolly suggests that it's actually just a Common pug: he says to note the white line which, just visible around the outer edge of the wing with white dots here and there along it, plus the plain brown area in the centre of the forewing. 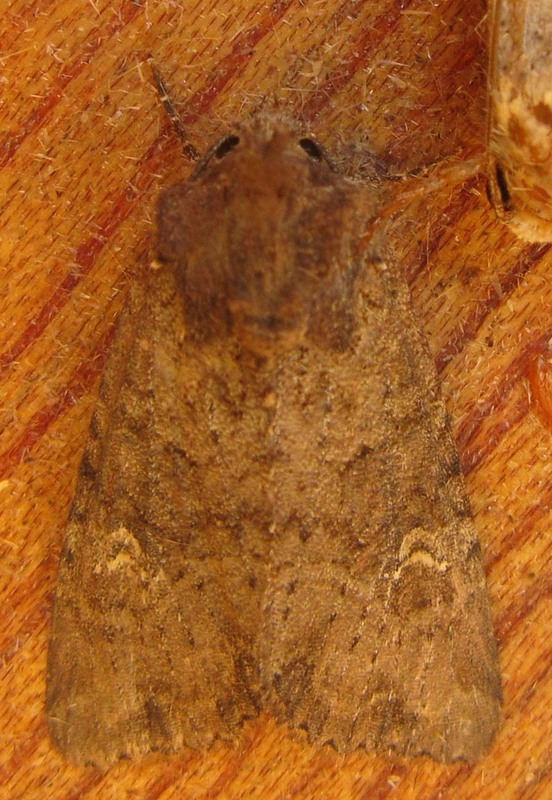 Turning to the larger pugs, this is a Toadflax Pug which we had initially confused with the Foxglove Pug. 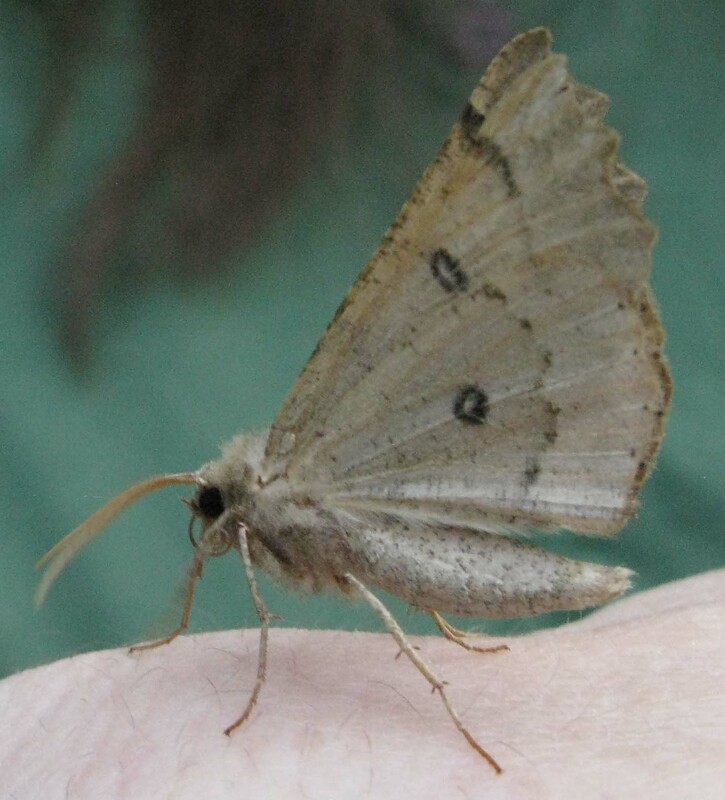 Dwallace tells us that the most helpful distinguishing feature is that the outer edge of the central cross-band is noticeably kinked near the leading edge in a Foxglove Pug. 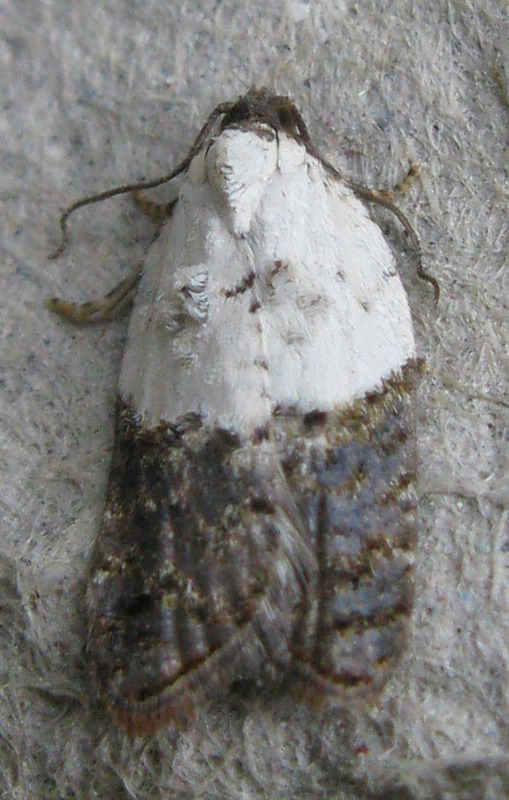 On our moth it is gently curved, which points to Toadflax. 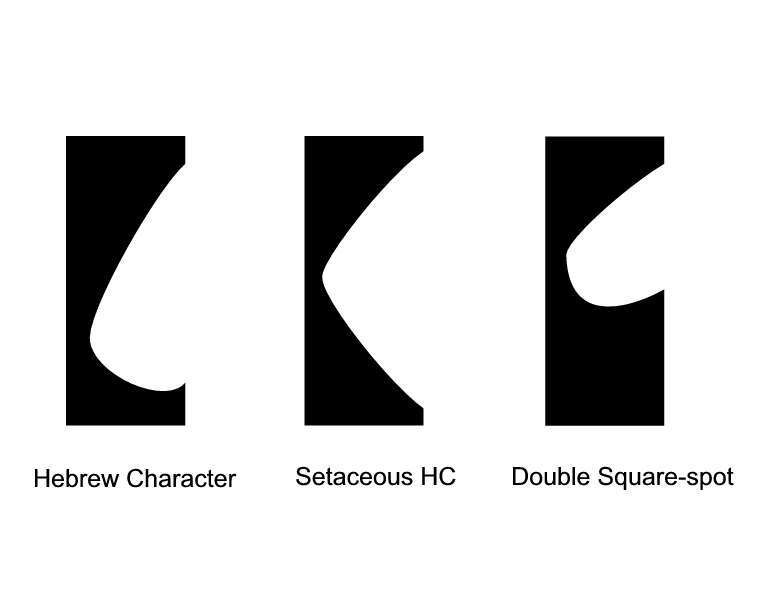 We've confused these a number of times: Hebrew Character (left), Setaceous Hebrew Character (middle) and Double Square-spot (right). 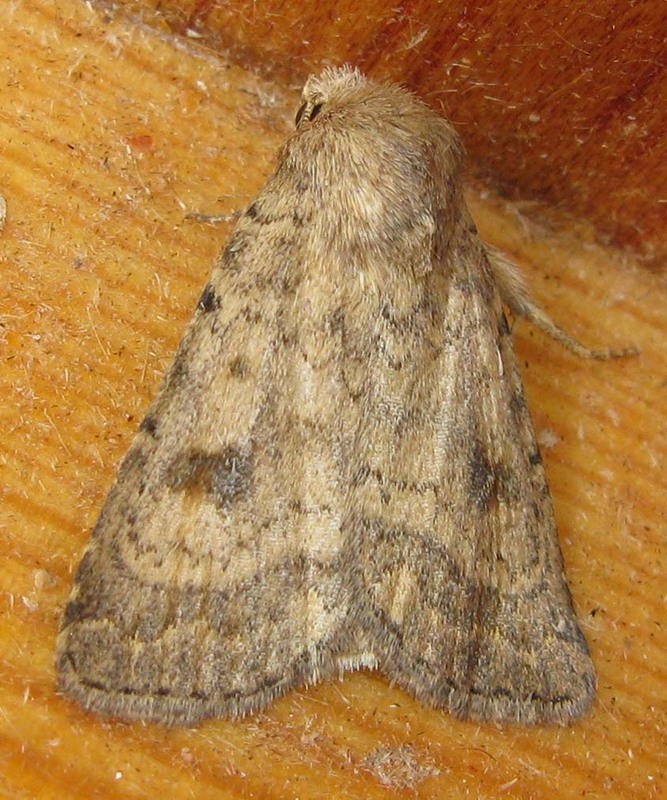 There's also the Triple-spotted Clay, which Tony Prichard tells us has white/pale cream/grey hind wings whereas the Double Square-spot has dark brown/grey hind wings. 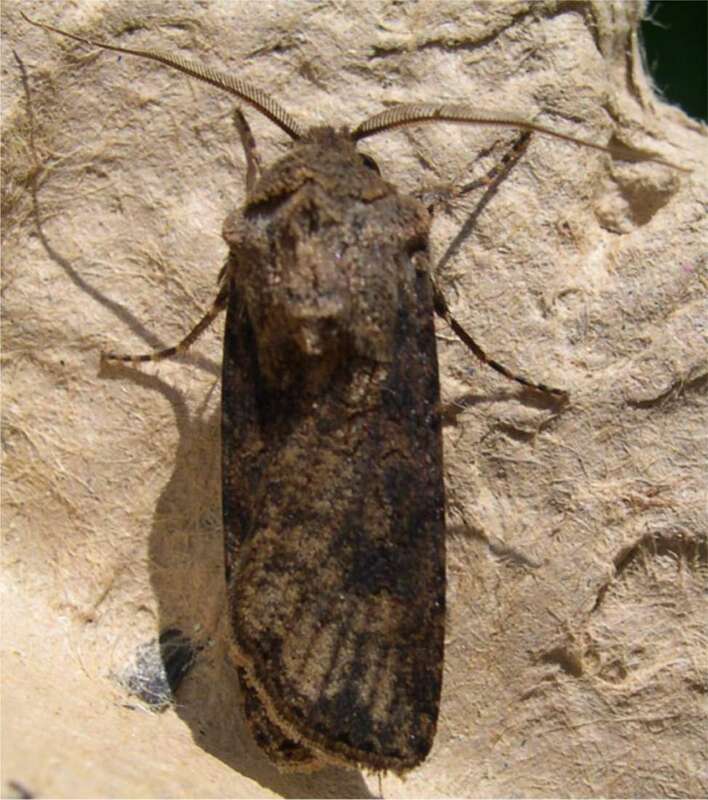 A different sort of confusion here in that this moth comes in one form with a dark band across the middle and one without. 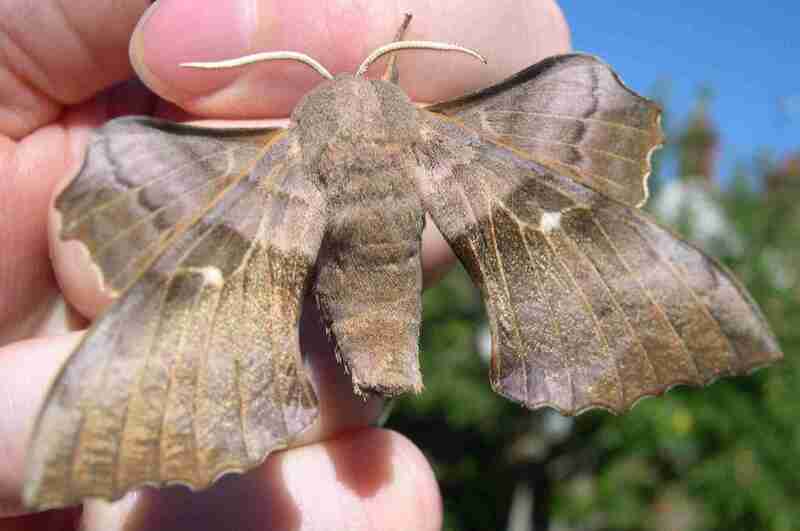 All the below are Riband Wave. 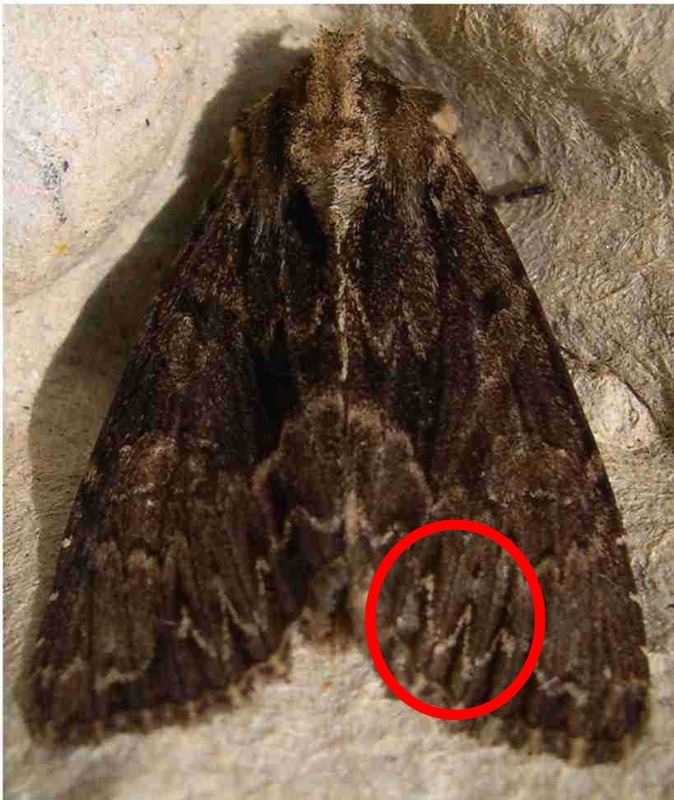 A distinctive feature that links them, according to Surreybirder, is the indentation of the outer bar towards the outer edge of the wing. We've got this wrong several times now. 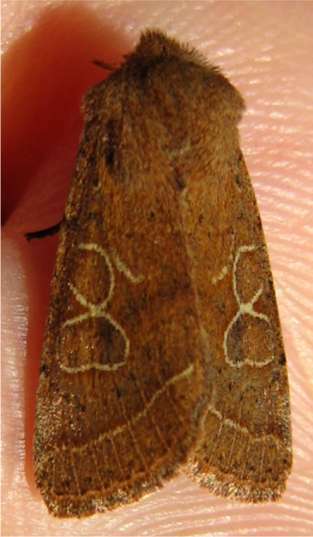 The Dark Arches (right) has a strong white "W" mark, while the Nutmeg (left) has a pale patch on the termen (end of the wing) just inboard of the apex (tip). 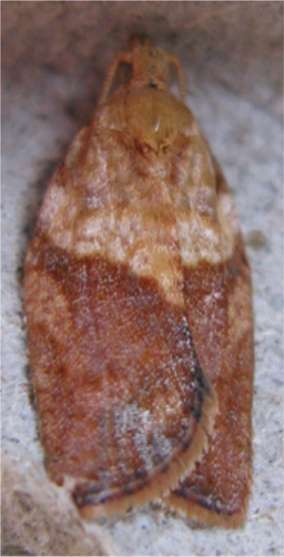 The Nutmeg is generally an ochreous moth, lighter coloured than Dark Arches. Thanks to Tony Prichard and Mike Wall for these tips. 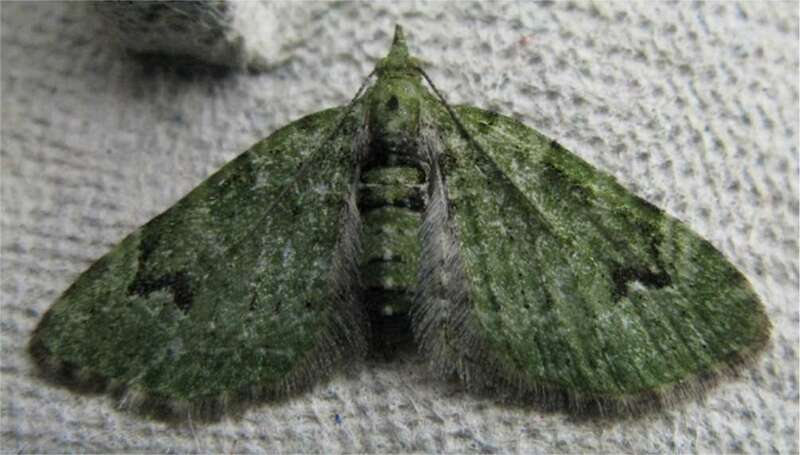 The greenness of pugs can vary from striking to non-existent but when striking it's quite overpowering and so there's a tendency to think "green means Green Pug". In the first case it is, in the second case the V means it's a V Pug. This is a lesson on resting wing position from Tony Prichard. 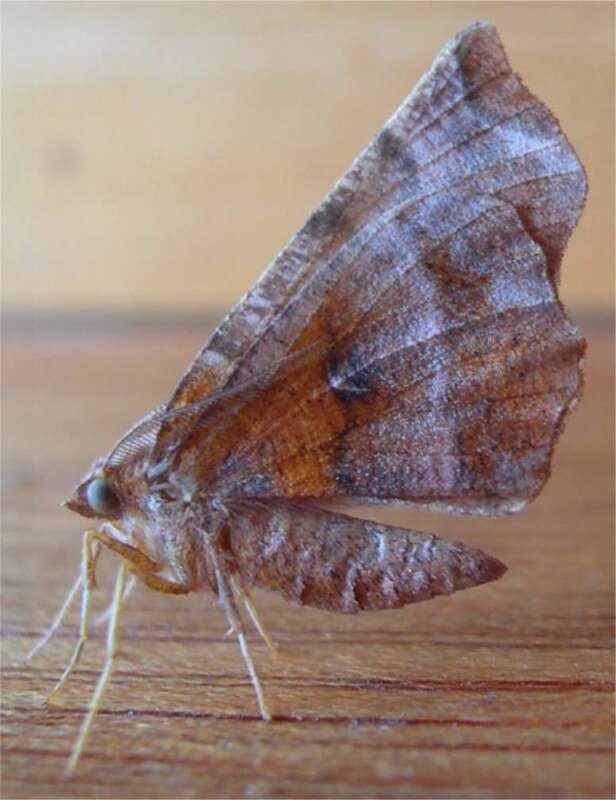 We had thought the two moths side-by-side below were both Early Thorn, however it turns out that the one on the right is a Scalloped Hazel. 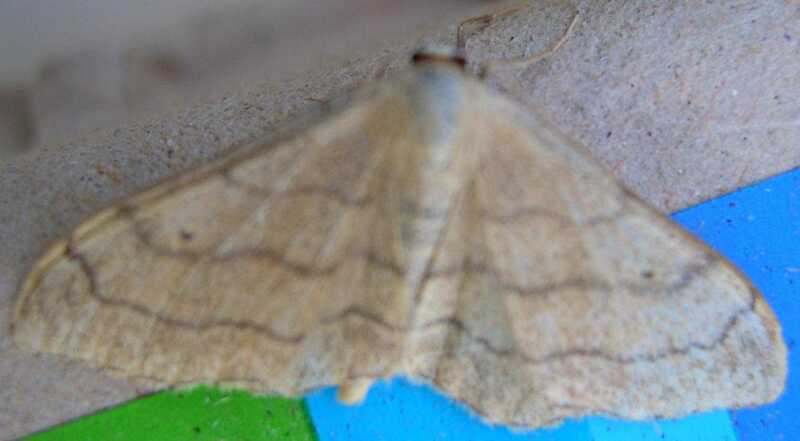 The reason we spotted the misdiagnosis is that the picture below is a Scalloped Hazel. 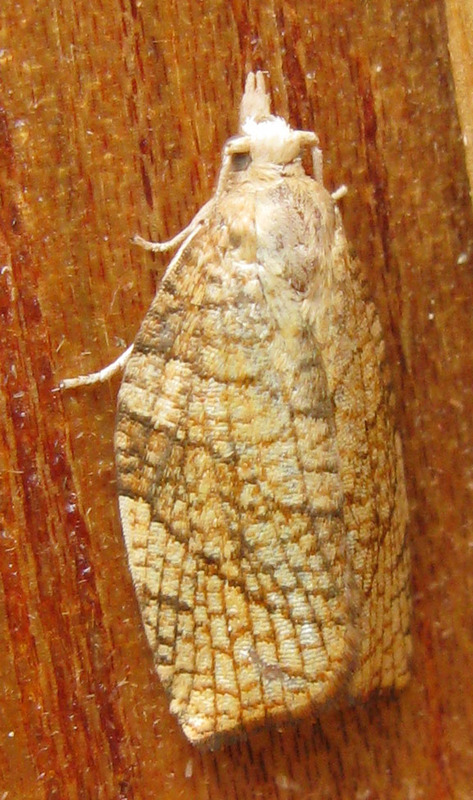 Resting wing position is not a distinguishing factor it seems. 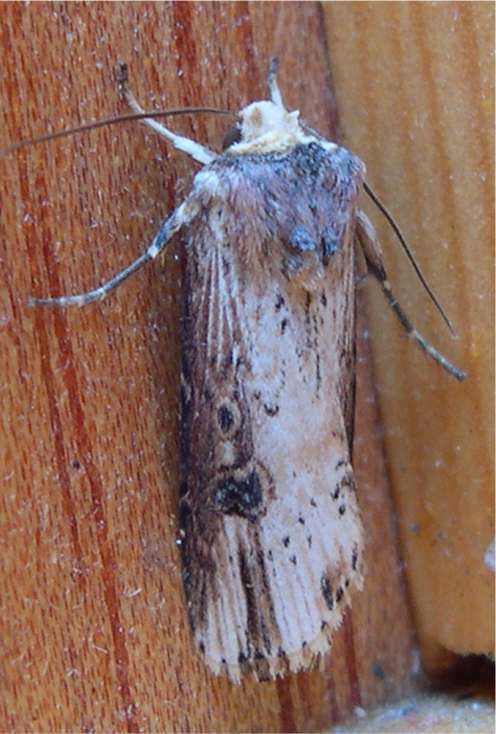 Both of the below are apparently Garden Rose Tortrix. Just amazingly variable. You just need to be a bit careful with these two. 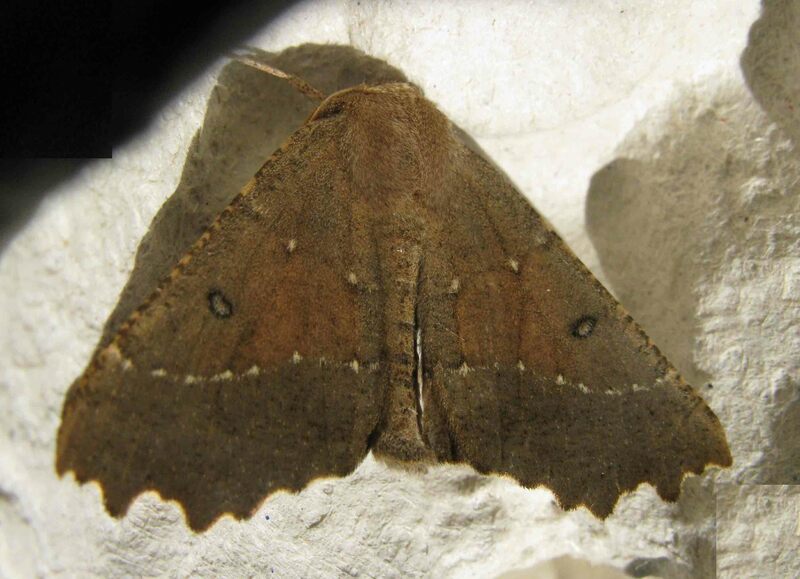 The Blood-vein's horizontal line terminates at the forward point of the wing while that of the Maiden's Blush terminates at the middle front of the wing and is more curvy. Thanks to David Shenton for pointing out the subtle difference between these two. 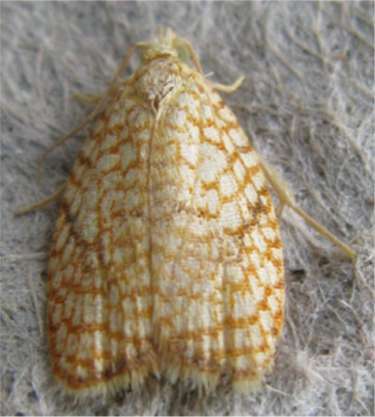 The Chequered Fruit-tree Tortrix, on the left, has lateral bands (fascia), whereas Acleris forsskaleana, on the right, omits these. 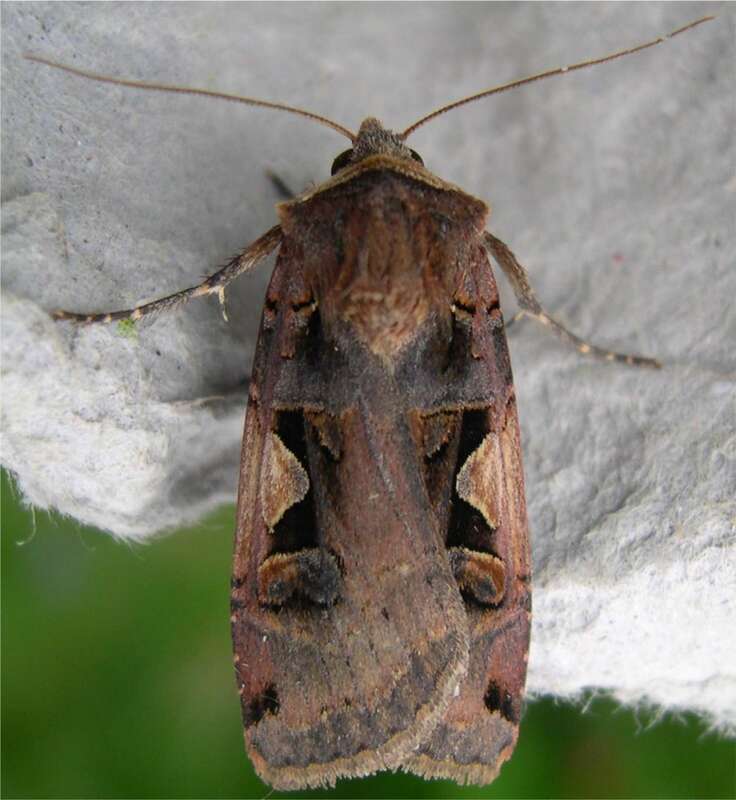 For good measure, he says that there is also a Barred Fruit-tree Tortrix (Pandemis cerasana, not a moth we've ever caught) which has both the chequering and the lateral bands but in the Barred Fruit-tree Tortrix's case they aren't parallel. 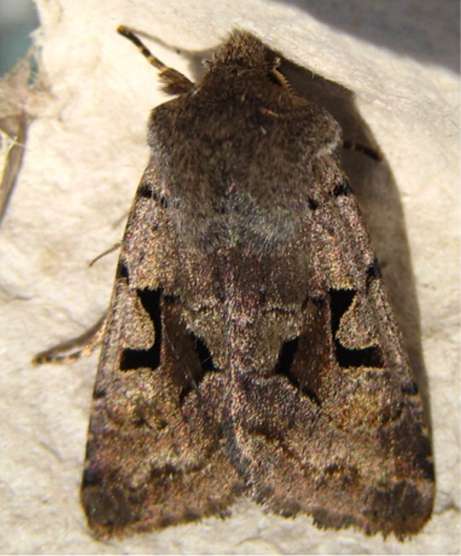 It's too easy to get the Willow Beauty and the Mottled Beauty mixed up. 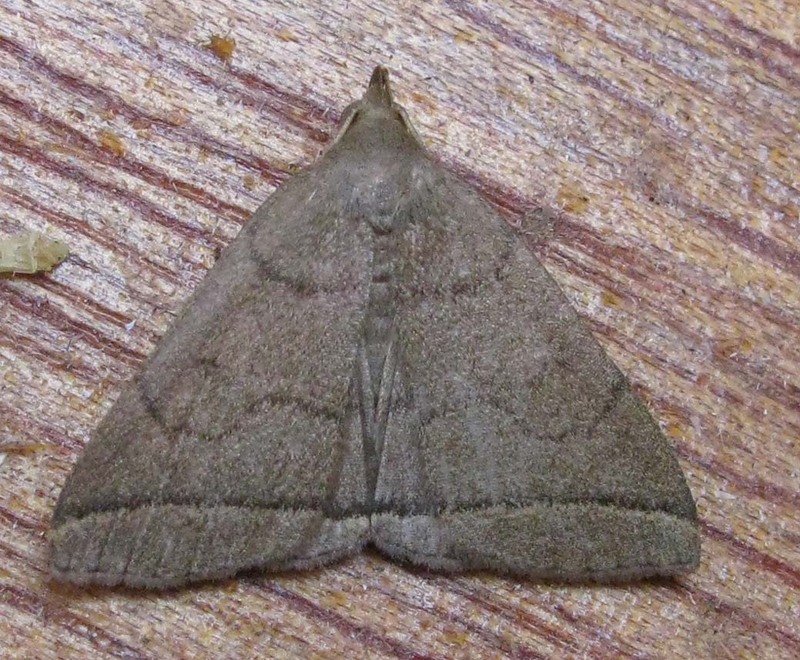 Catching late in the season (September/October) separates them out from the Oak Beauties but in appearance terms Paul Chapman points us to the marks on the forewing: if, having started apart, they join at the rear edge of the forewing in a blotch, it's a Willow. 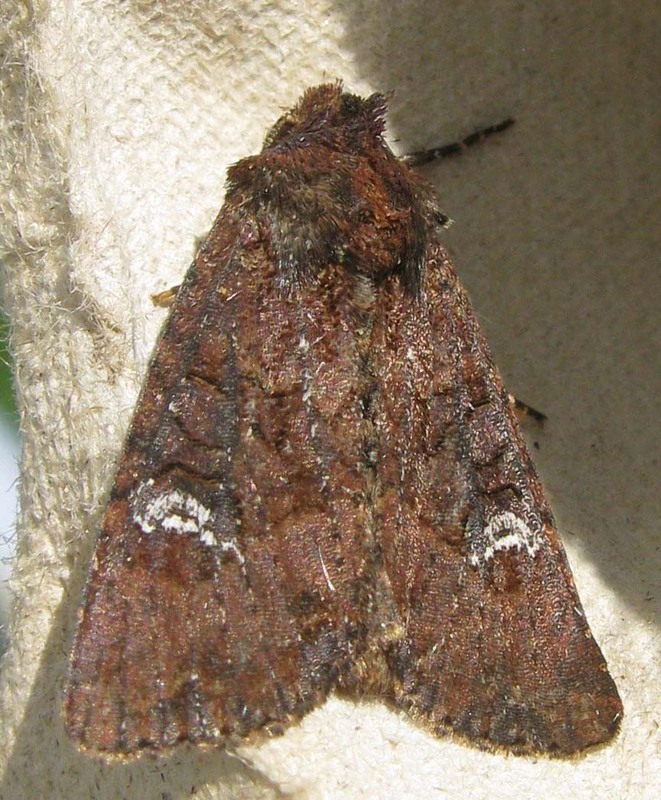 If they stay apart, it's a Mottled. 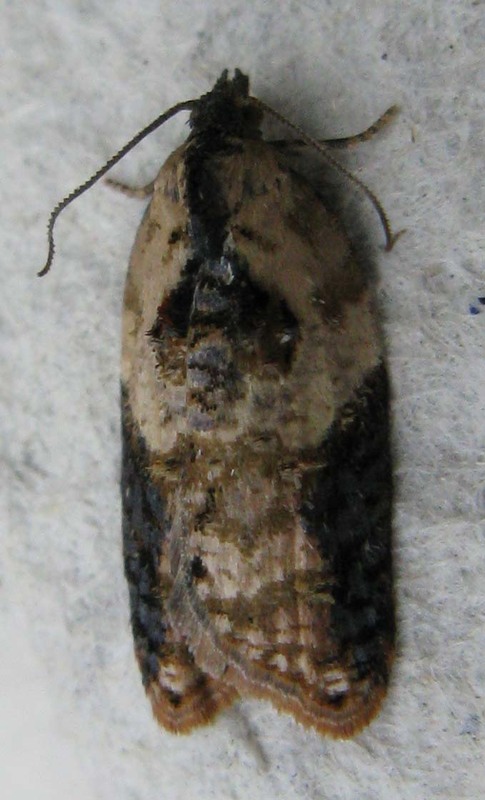 As a bonus ID point, usually as well on the underside of the forewing tip there is a pale square on the Willow Beauty - useful if you can only see the underside because it is resting upside down on the perspex of a trap but it can also be checked in a pot. 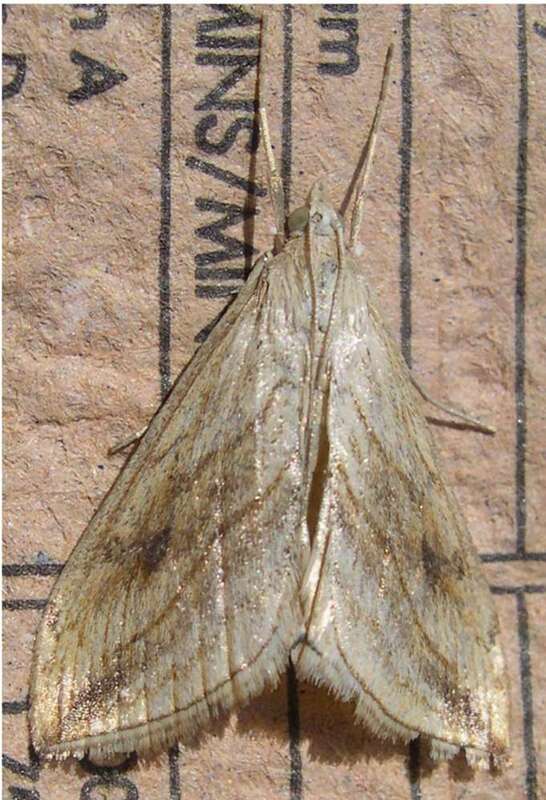 You'd have thought the white cloak-like marking below made these different species but no, they are both Light Brown Apple Moths, or Epiphyas postvittana. 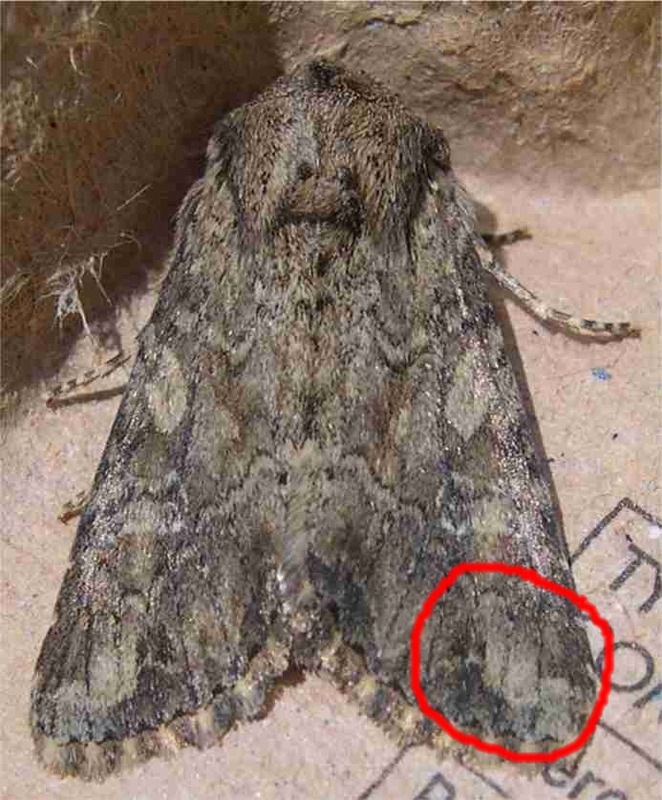 A good identifying mark are the two dots just behind the head. DavidG tells as that all of these are Common Rustics of one form or another. 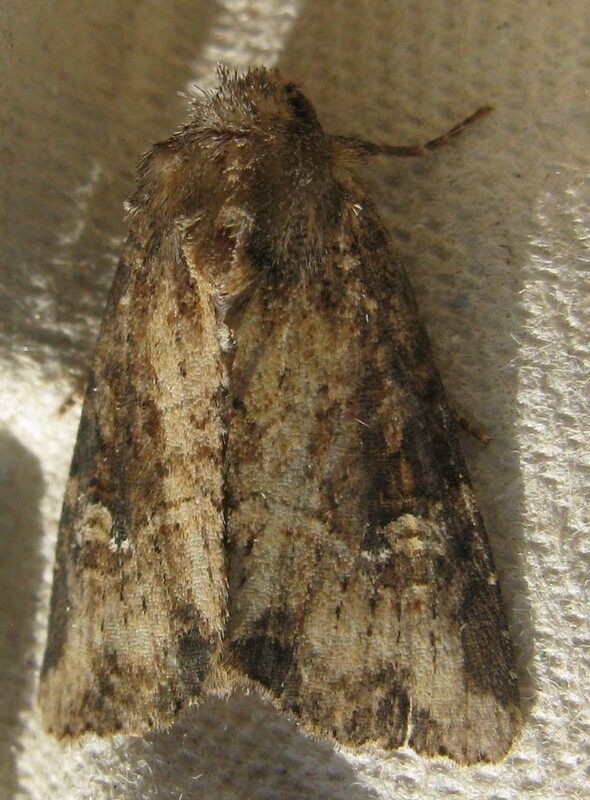 We've been getting them mixed up with Cabbage Moths, which we're told are much larger. 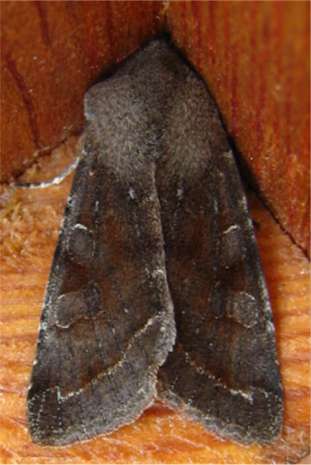 Superficially similar, since their triangular shape is so distinct, it's worth taking a closer look for the actual snout on the Snout (right) versus the snoutless Fan Foot.